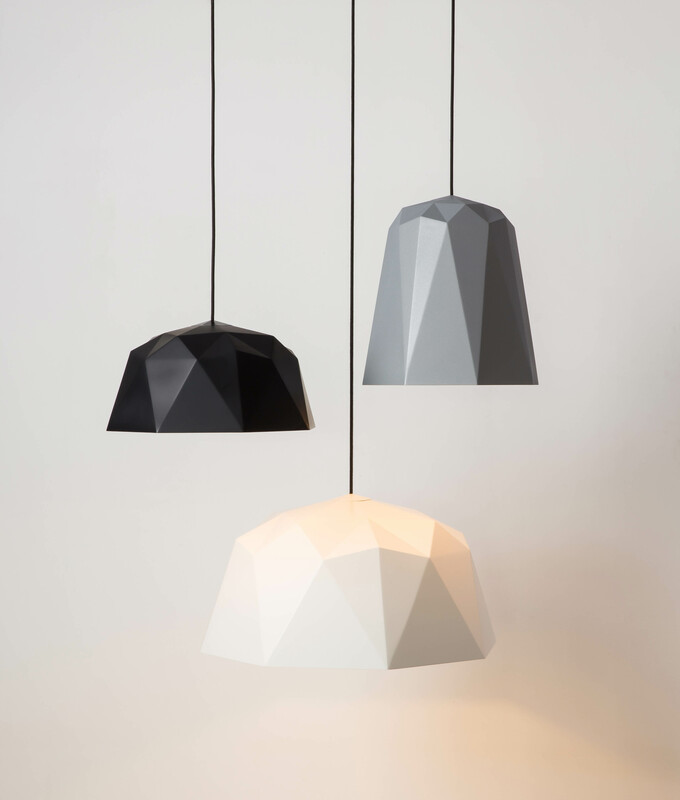 It is a departure from our normal house style but we just love these Nagoya geometric lights. 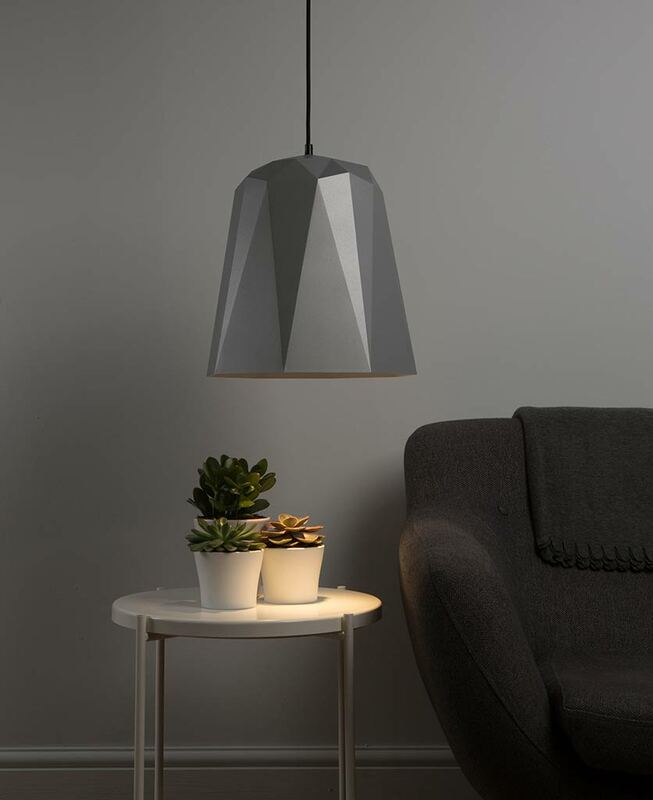 They’re just lovely to gaze at: the different panels reflecting light to enhance the three-dimensional angles within the shade. 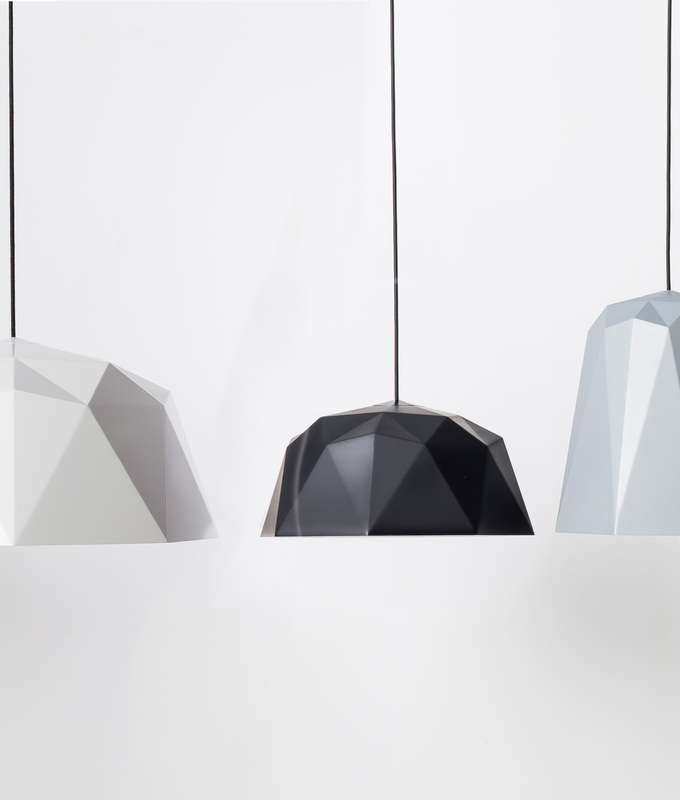 In fact, we have one of these (along with several other geometric lights) hanging above our desks at Dowsing & Reynolds HQ. And you know what, they look right at home in our warehouse mill. 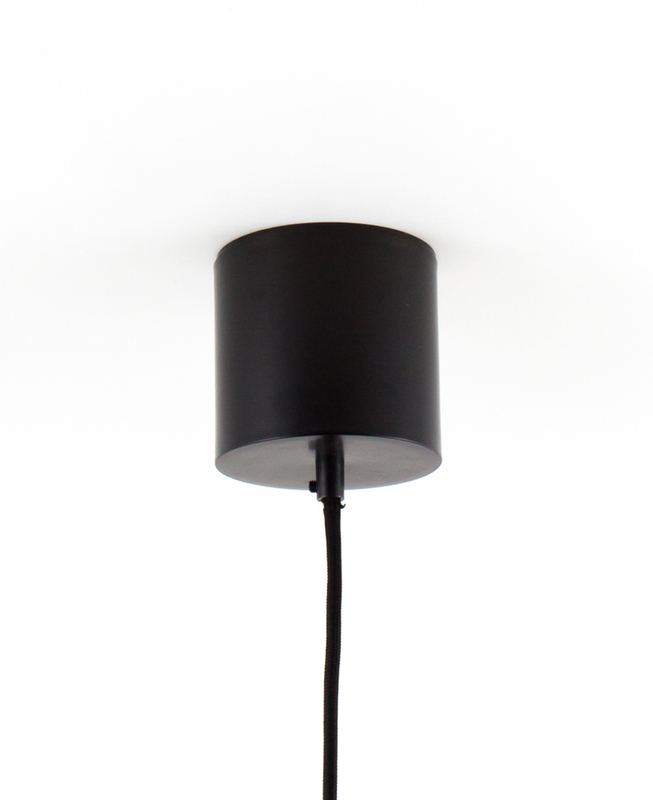 This geometric light comes fully assembled with bulb holder, ceiling rose and three metres of fabulous black fabric cable. 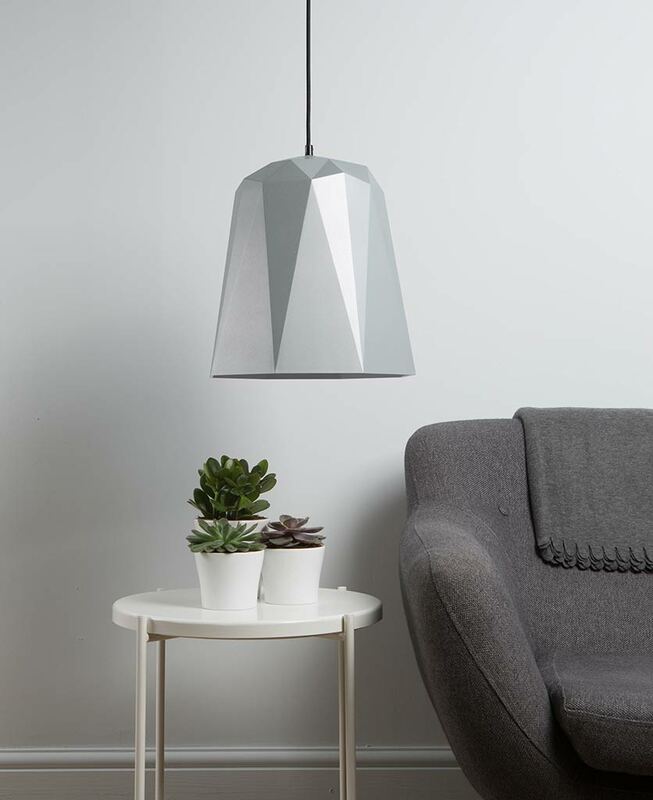 The shade itself is made of rigid nylon – even though it looks like an origami Darth Vader, we can assure you it has far more longevity.